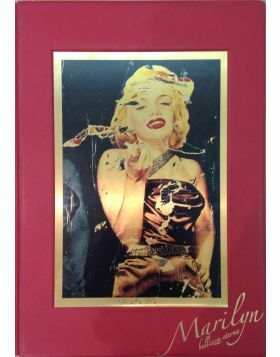 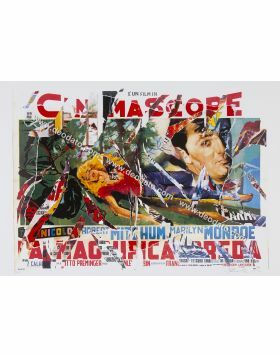 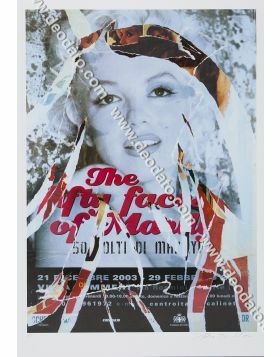 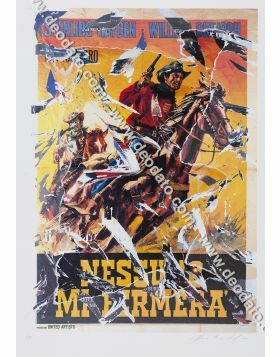 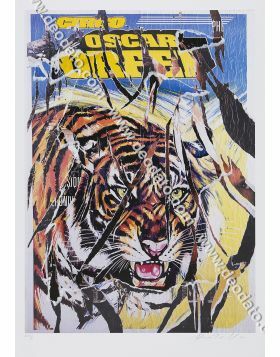 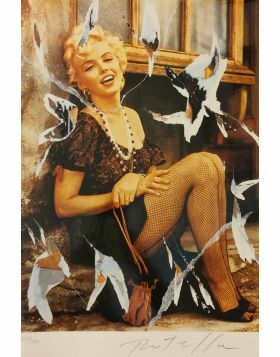 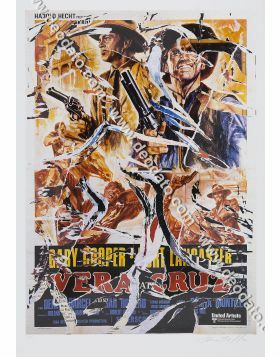 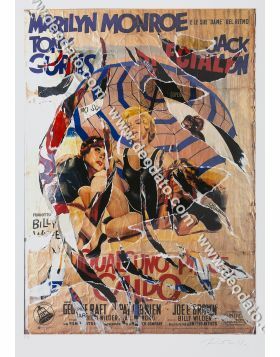 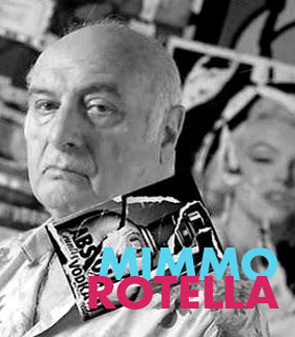 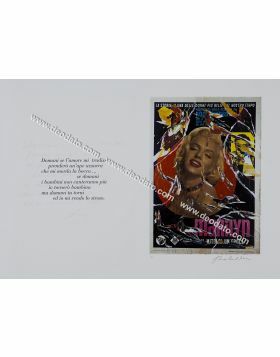 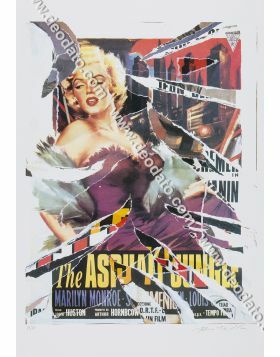 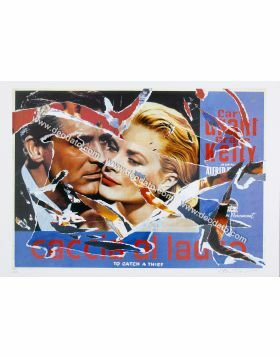 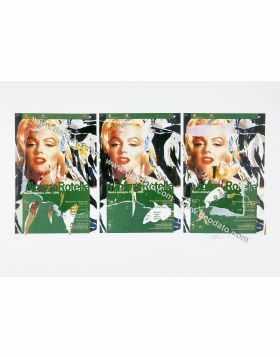 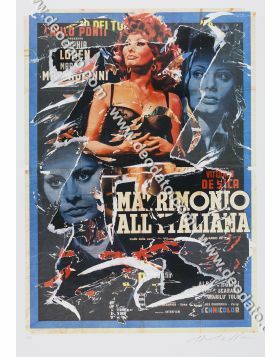 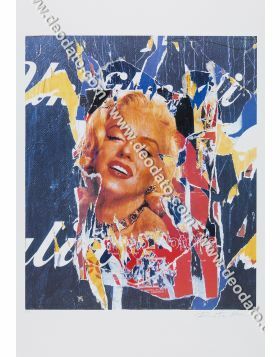 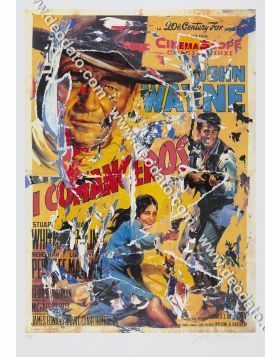 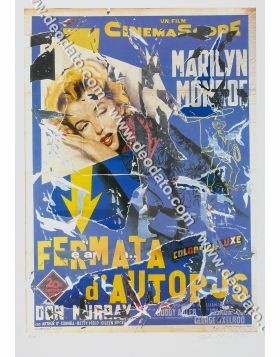 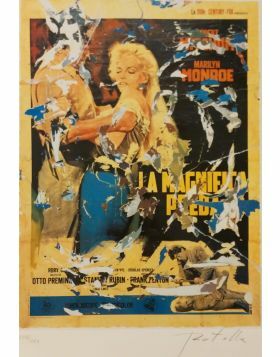 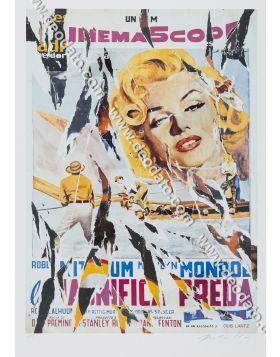 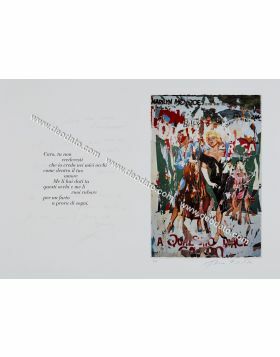 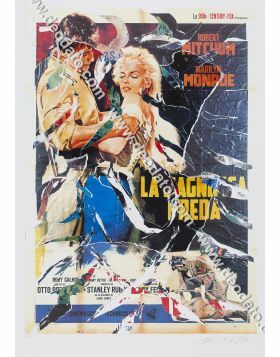 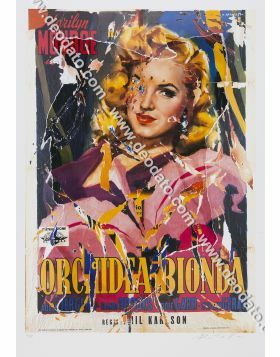 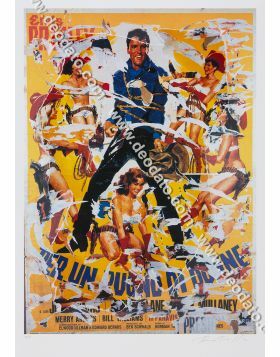 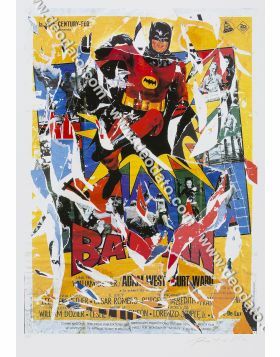 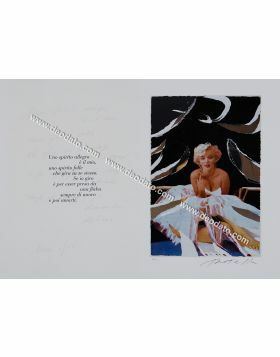 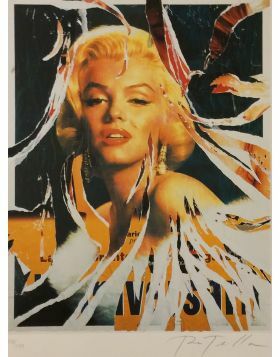 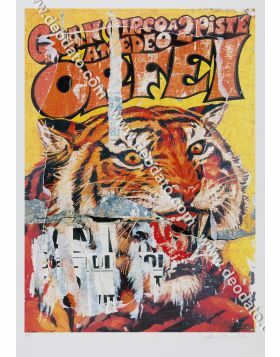 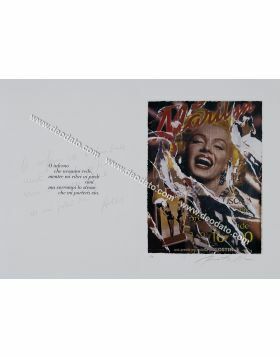 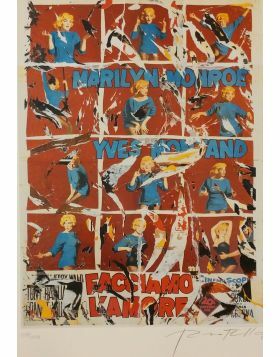 More than a Miracle is a Mimmo Rotella's SeriDécollages with a beautiful and seductive Sophia Loren. 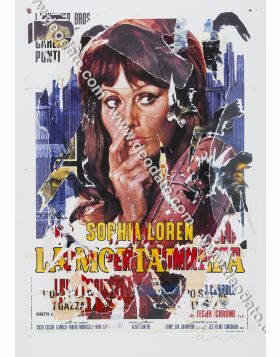 An atmosphere of More than a Miracle evoked by Rotella's tearing arabesque on sensual curves of Sophia Loren, the beautiful peasant that “tiene nu bruttu carattere”. 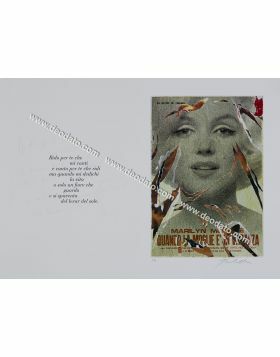 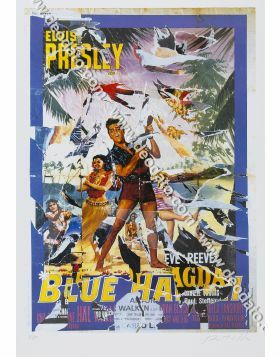 The film is a true tale of other times that excites audiences Italian. 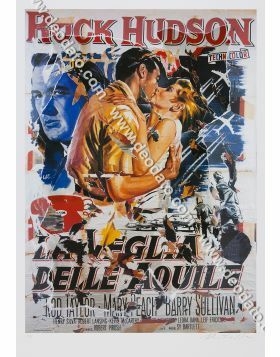 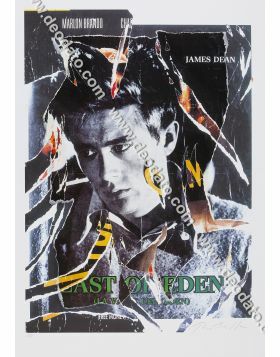 The folk tale, escapism documented by neorealism, a happy ending reassuring. 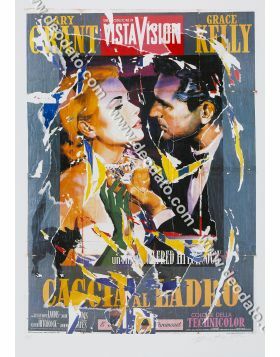 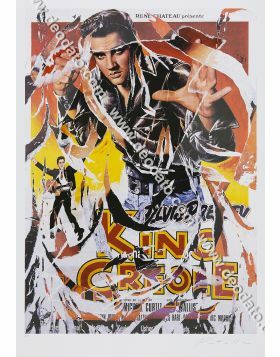 All it made through the Mediterranean sensuality of Loren as Isabella, a disturbing modern Cinderella and the charm of the Middle East Rodrigo, prince from fiery temper masterfully played by Omar Sharif.